Take a look at our state of the art production process and see why we are a true 21st century remanufacturer. Our online catalogue where you can view many different makes and models: current and obsolete. Take a look and get a quote. Order compressor parts and accessories easily from our online store. We also specialize in the sale of new and remanufactured AC, refrigeration screw compressors, and new Frascold screw compressors. 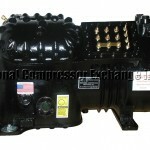 We are a distributor for Frascold compressors and parts. 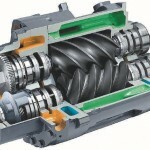 Other products include: motor rewinding, machining, and oil analyzing. We're your supplier and remanufacturer of air conditioning and refrigeration compressors. Why us? Quality and Price. Compared to the OEM our prices are much better. You get an exact replacement and not a generic model so we can save you a lot of time and money. The fact is, we are a true remanufacturer, not a rebuilder or repair shop. Don't be fooled by the competition. A lot of companies say they are remanufacturers when, in reality, they are actually rebuilders or repair shops. None of them have the same process or quality that you'll get with National Compressor Exchange.